Tomorrow, the Flame of Peace will be used to light the Olympic cauldron inside the Asim Ferhatović-Hase Stadium in Sarajevo during the Opening Ceremony of the European Youth Olympic Festival (EYOF) Sarajevo & East Sarajevo. The moment will mark the start of five days of competition between 1,600 of Europe’s best young winter athletes while at the same time linking the region’s Olympic past with its new Olympic present. Sarajevo hosted what was largely regarded as one of the finest Olympic Winter Games in history at the time in 1984, and now, some two and a half decades after war devastated so much of the region, the people here are eager to prove they still have what it takes to put on major events. 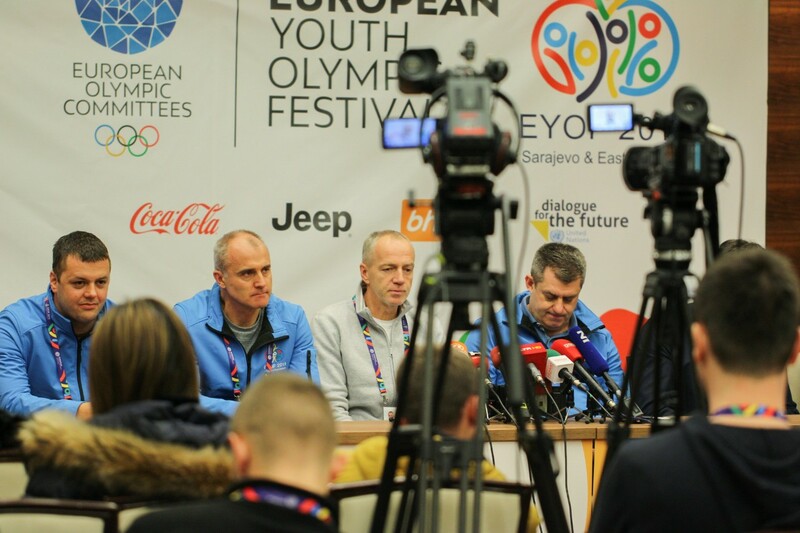 Athletes from 46 European National Olympic Committees (NOCs) have been steadily streaming in to the capital of Bosnia and Herzegovina to compete at the EYOF, which will feature eight sports: alpine skiing, biathlon, cross-country skiing, figure skating, ice hockey, short track speed skating, snowboarding and curling. In the mountains of East Sarajevo, ample snow is already in place, with more forecast to fall in the coming days. The 1,200 volunteers are in place as well, so the stage is well and truly set for an unforgettable event, kicked off by what promises to be a memorable Opening Ceremony whose symbolism is sure to resonate with all those in attendance.